A lifetime of financial planning, whatever your financial status, can be tarnished without a specific plan for your estate. Estate Planning is about more than just money. Proper arrangements can determine the distribution and allocation of your wealth when you are no longer around. Well-thought-out arrangements can complete your life’s plan for your remaining family or whoever you wish to benefit, according to your specific wishes. It will also ensure that any charities or organisations that you wish to benefit, can do so in a timely and cost effective manner. A well written Will provides guidance to your named executor and can prevent family disharmony over the distribution of your estate. It can also dramatically reduce tax burdens that your beneficiaries could face. By anticipating and organising the distribution of an estate during your lifetime, and by putting in place instruments such as family trusts, your wishes can be put into effect while you are still around to witness the benefits. 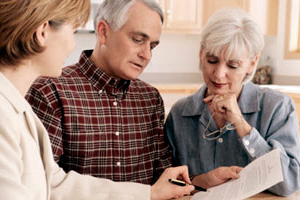 Estate Planning takes away the uncertainty for your family and loved ones at a very difficult time for them. can benefit you, please click here.